We’ve been doing swim team as my kids’ physical activity for years. For the past 3-4 years we’ve been on one swim team. Unfortunately, they don’t do a lot of swim meets, so this summer we decided to switch up and join the summer swim team that goes to tons of meets as well as regionals and nationals. With our other swim team, practice was in the afternoons 3 times a week. Our new summer swim team practices are every day from 7 to 9 AM. This means we have to be in the car around 6:30 every morning, and it’s summer time! Did I tell you I’m not a morning person? This calls for something energizing for me. I’m not much of a coffee drinker, especially sitting in the humid heat of Texas. I like to reach for a cold V8 V-Fusion+Energy drink. My personal favorite is the Pomegranate Blueberry. To make a quick granola yogurt parfait, I add half a single serving of plain Greek yogurt to a plastic cup. Then, I top it with a quick blueberry compote I made in the microwave. 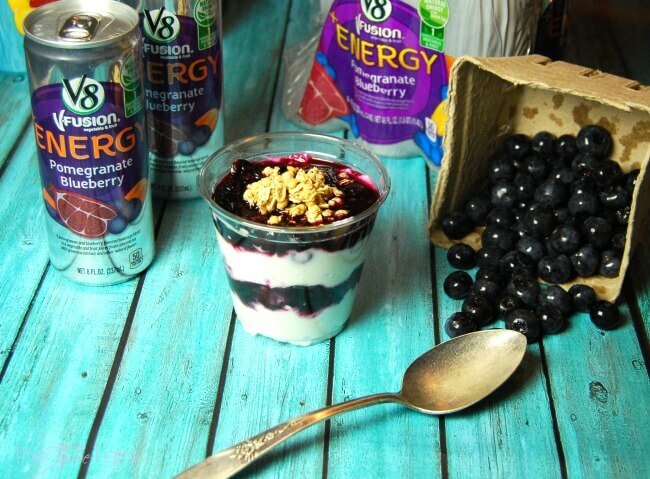 Next, I add some granola and top it off with the rest of the yogurt. Lastly, I top it off with the last of the blueberry compote and granola. I stick a plastic spoon in it, put it in the cup holder in the car, and we’re off to swim practice. Even though it’s super early and I’d much rather be in bed, I do like laying in a lounge chair in the shade with my tablet and a nutritious energizing drink. It’s very relaxing. 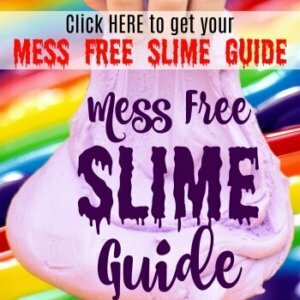 My 5 yr old is usually asleep for the first hour, so I can check my email, read a book, and even write up some blog business. 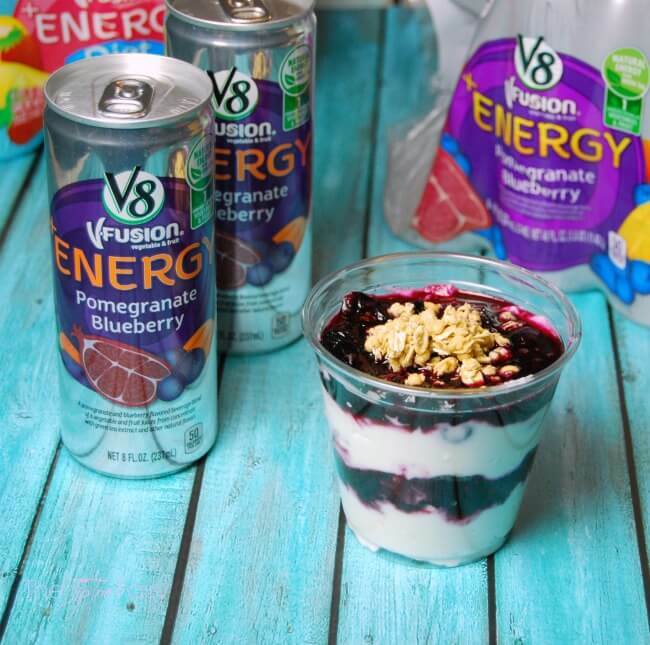 Check out this giveaway with V8. They’re giving away $2500 in Walmart Gift Cards! 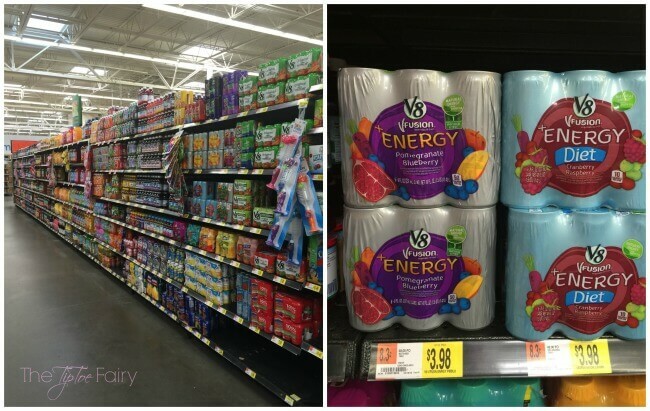 Which V8 V-Fusion + Energy drink would you choose? As a busy mom, I am always looking for a boost! I need to try this. I’m totally looking for those when I head to the grocery store tonight! I am excited about them! I take an energy drink whenever I need a boost. I will look for this. I’ve never heard this, I want to try. Next day I’m going to grocery to buy some foods. I’m gonna try this. I haven’t seen these in store yet. In the past, I haven’t cared for v-8. The parfaits look delicious. 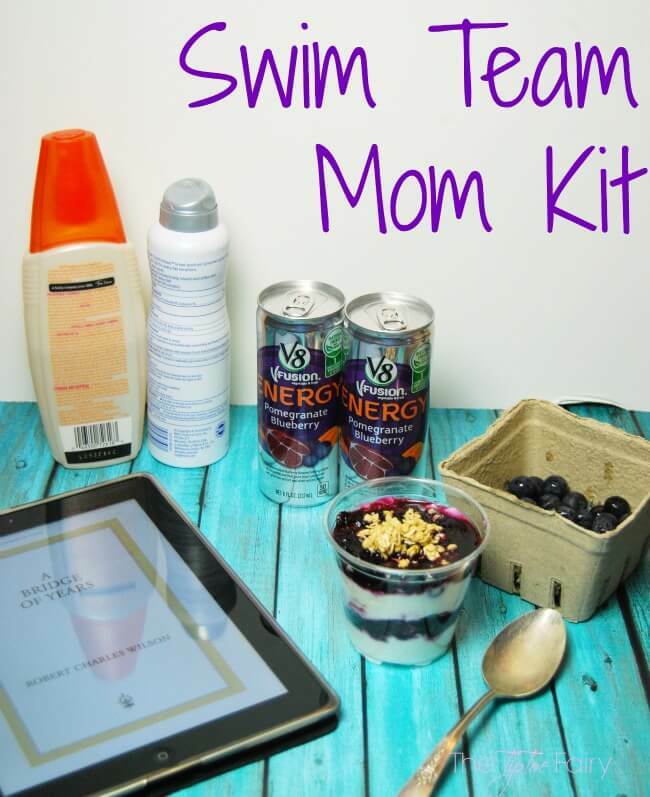 These are great items for a DIY sports mom it. 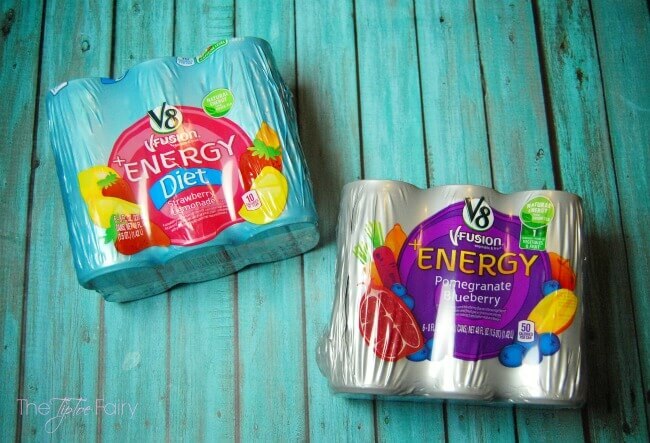 I haven’t heard of the V8 VFusion Energy Drinks. I will have to look for these my kids will love these. Thanks for sharing.